Jaguars are native to Central and South America. They are usually found in remote areas, such as the Amazon Basin. Jaguars originally lived as far north as Florida, Texas, Arizona, New Mexico and California, but their natural habitat has receded to Mexico due to human activity. Deforestation is a big threat to their current habitat. Many ranchers see them as a pest that kills their cattle and shoot them, which also causes their numbers to dwindle. 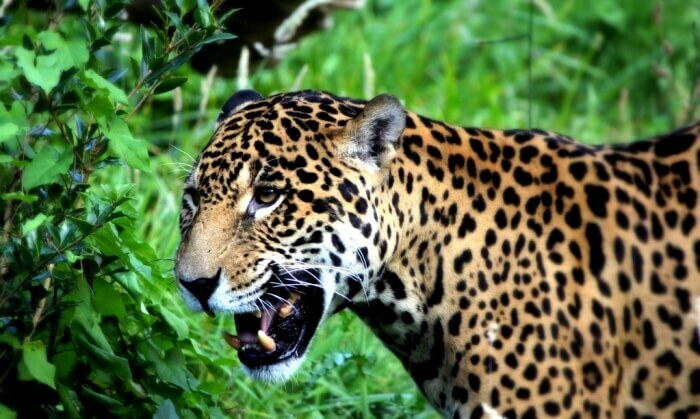 Jaguars can live in a variety of different habitats. Although the largest populations live in rainforests and swamps, they can also live in scrubland and deserts.